Or view larger version. Eliza Jane Steen-Johnson. 1852. Unknown photographer. Daguerrotype. Collection of Oakland Museum of California. Gift of Barbara Smith. 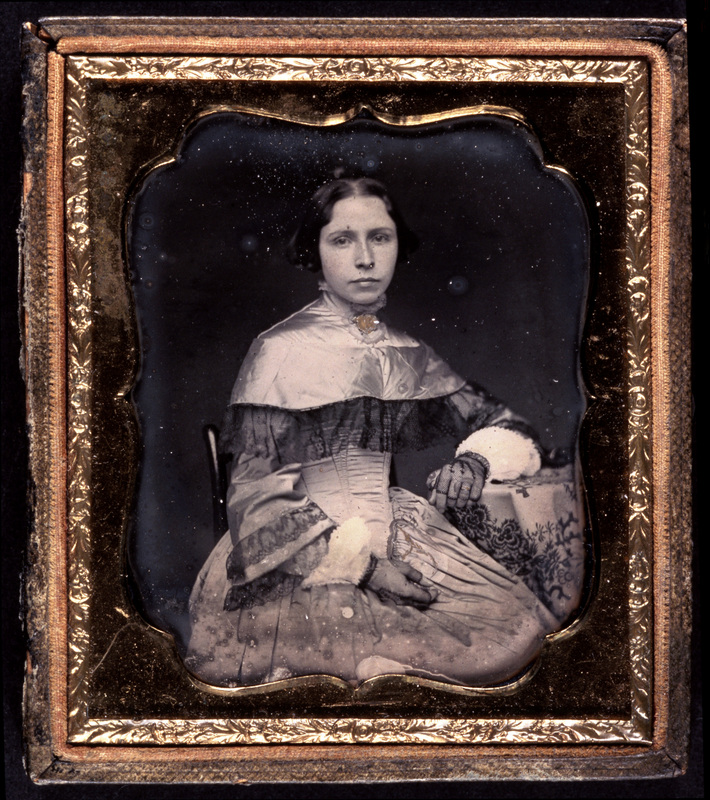 This is a daguerreotype portrait of Eliza Steen-Johnson who was an entrepreneur and business owner with her husband, John Johnson. Eliza and her husband came to San Francisco, California from Ireland in 1850 during the Gold Rush. They owned and operated The Lace House, a dry goods and millinery shop on Sacramento Street near Portsmouth Square in San Francisco. In the 1860s, the Johnson family moved to Oakland, where Eliza spent the rest of her life. She died and was buried in Oakland in 1899.